Going for a swim at your local baths is hardly going to break the bank. For example, the 2012 Olympic Pool in London is now open to the public and costs just £4.50 a session, and that’s towards the high end of the price spectrum! Water is twelve times denser than air, therefore swimming requires your muscles to work a lot harder than they would while jogging. The harder your muscles work the better they work out. Need proof? Just look at Michael Phelps. Swimming is also very beneficial for your heart; 30 minutes of swimming daily can reduce coronary heart disease by up to 40% and as for calories, you can burn a minimum of 60 calories for every ten minutes swam. 80 minutes of swimming and you’ve burnt the same amount of calories that are found in a Big Mac. Swimming really is one of the healthiest forms of exercise as well as being one of the cheapest total workouts. You don’t need a gym to work out. 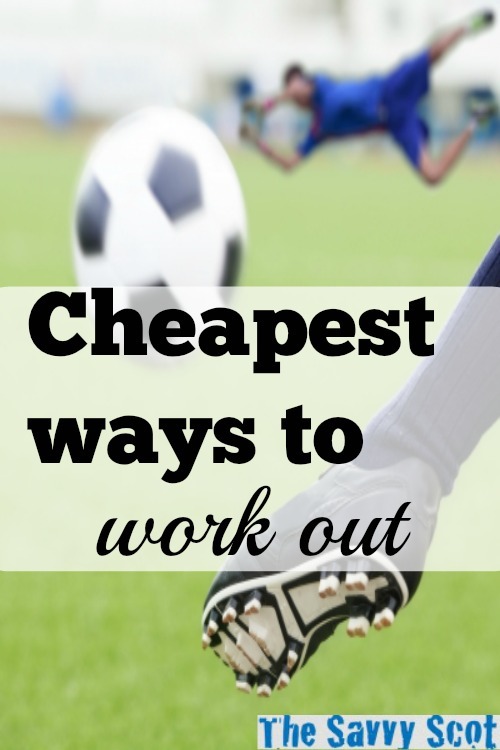 Going for a run costs nothing and so does working out at home. Press-ups, sit-ups, lunges, crunches and even yoga can be done in the comfort of your front room. If you were looking for some gym equipment at home then check out the latest Argos vouchers. Argos are currently offering up to half price on selected home gym products. What’s more, working out at home spares you from any embarrassment that you think you may encounter at the gym. With many situated around the UK the aptly named GYM is one of the cheapest gyms to use. With prices starting as low as £10.99 per month you may think that their equipment is dated and not very good. On the contrary, the company have some of the most innovative equipment in the UK. Their My Ride cycling equipment is brilliant. Instead of having to face the monotony of the blank wall, the machine uses a TV so you can cycle all over the world, meaning you can do the Tour de France in Rotherham!